ABHP Pharmacist Members write about how to enjoy a more rewarding career in pharmacy, to extend your service more patient communities in need of life-saving pharmaceutical care. Looking for employment? Apply to work with ABHP's leaders from across the country using our Job Board - only accessible to ABHP members. Industry titans seek to hire ABHP members. Looking for larger contracts and grants? Find teaming partners for competitive bid government contracts and grants. 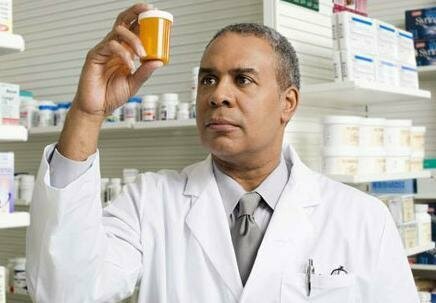 Identify other experts and collaboratively approach top dollar opportunities that only Black Pharmacy professionals. Leverage the relationships that you can only find and foster from within the powerful ABHP network. Looking for talent? Use the ABHP Job Board to find talent and to find opportunities - - (FREE for a limited time to all members). "My patients remind me every single day of their struggle to access pharmacist-led services. I view ABHP as a way to work in partnership with other pharmacists, to get patients the pharmaceutical services they deserve by advocating on their behalf to law makers, health systems, and community leaders." "It's often said that we have to work twice as hard, to get the same results. When we study the economics of pharmacy workforce dynamics, this is more than accurate. I work with ABHP members to ensure our patients continue getting the quality pharmaceutical services that they deserve."